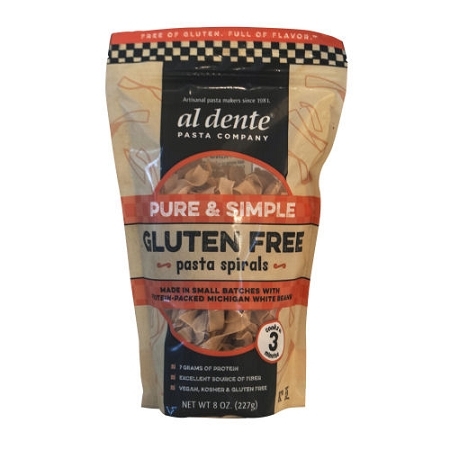 Our gluten-free pasta spirals are made with white bean and brown rice flour making it high in protein (7g) and rich in fiber (6g). The great taste, texture and 3-minute cooking time make this pasta a dream come true for gluten-free pasta lovers. Gluten-free, kosher, vegan, and GMO free.